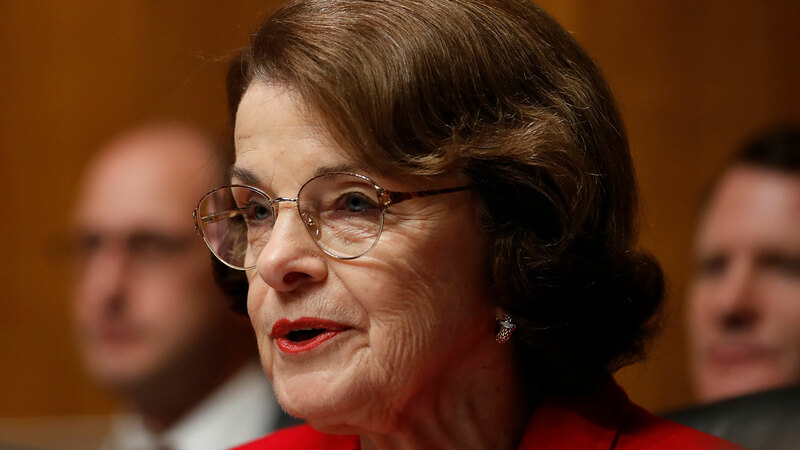 FRESNO, Calif. (KFSN) -- Eighty-four-year-old Dianne Feinstein is seeking her 5th full term in the U.S Senate this year representing California and if the election were held now, she would have no problem taking the top spot and moving on to the General Election. That's the conclusion of a recent and exclusive ABC30 Action News Poll conducted by SurveyUSA. According to the President of SurveyUSA, Jay H. Leve, Feinstein faces many would-be challengers but no serious primary challengers at this time -- six months until the votes are counted. Feinstein has five times as many votes as her nearest Republican challengers. She's at 34 percent and the top four GOP candidates for U.S. Senate combined are at 21 percent. The names of 20 candidates appear on the June Primary ballot. When the name of a 21st candidate -- billionaire hedge fund manager, Tom Steyer -- is thrown into the mix, he only gets 5 percent. At this time, the Democrat is not a candidate for the Senate. Even current State Senate President Kevin De Leon only gets 3-4 percent. The top 2 vote-getters in the June Primary move on to November General Election regardless of party affiliation. RELATED - POLITICAL INSIDER: Who will succeed Jerry Brown? 30 percent of the 506 "Likely Voters" responding say they are "undecided" in the Senate Race. Feinstein gets major support among Whites (31%), Hispanics (31%), Asians (38%), and especially Blacks (54%). Of course, she gets big numbers among Democrats, but 25% of Independents in the poll also back her -- as do those who describe themselves as Moderates, 39%. Feinstein is also the choice here in the Central Valley with 31 percent. Republican Caren Lancona is next with 14 percent. Twenty-six percent are "undecided." Feinstein is the longest-serving woman currently in the U.S. Senate and is the top Democrat on the Senate Judiciary Committee. SurveyUSA completed 95 percent of the interviews for this recent poll before Senator Feinstein, on her own, released transcripts relating to the Congressional investigation into Russian meddling in the 2016 Presidential Election and possible collusion with the Trump Campaign. FILE: U.S. Sen. Kamala Harris, D-Calif.
What about California's Junior Senator? Are Californians happy with Kamala Harris' job performance? The exclusive Action News/SurveyUSA Poll also asked 909 Registered Voters if they approved or disapproved of the job Harris is doing as a United States Senator. That makes a majority (55 percent) of those responding who have an unfavorable or no opinion of Harris in her first year on the job. The voters in the poll from the Central Valley have an even less favorable opinion of the former State Attorney General. Click here to view the full SurveyUSA poll.